What does "vintage" mean to you? In our experience, the term is met with mixed reactions. 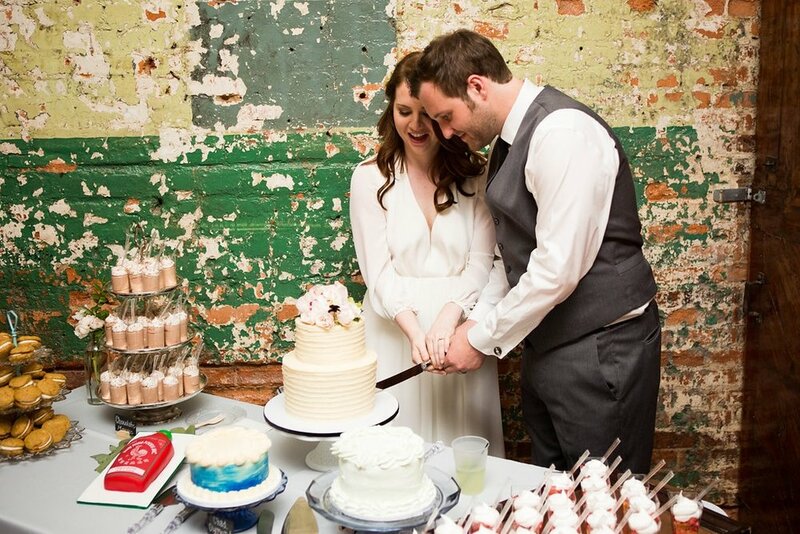 Read on to see how Emily and Andrew's industrial swoon-worthy big day debunks some common misconceptions. Myth #1: "Vintage" is a style of its own. 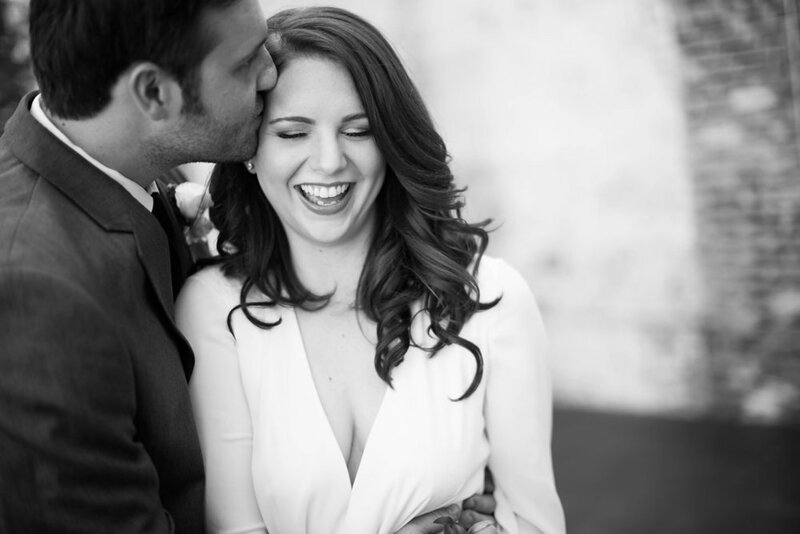 So often we meet planners, stylists, and brides who think "vintage" is a stuffy style. It makes them think of their grandmother's house, of overwhelming floral wallpaper, and plastic covers on fancy furniture. Emily and Andrew's stunner of a wedding day proved exactly what we have been trying to prove for years... our pieces can be used to put the finishing touches on ANY style. White draping, minimal beautiful greenery, and TONS of light in an industrial setting. Vintage pieces can be incorporated with all style. Myth #2: You can only set a pretty table if you're having a sit-down dinner. 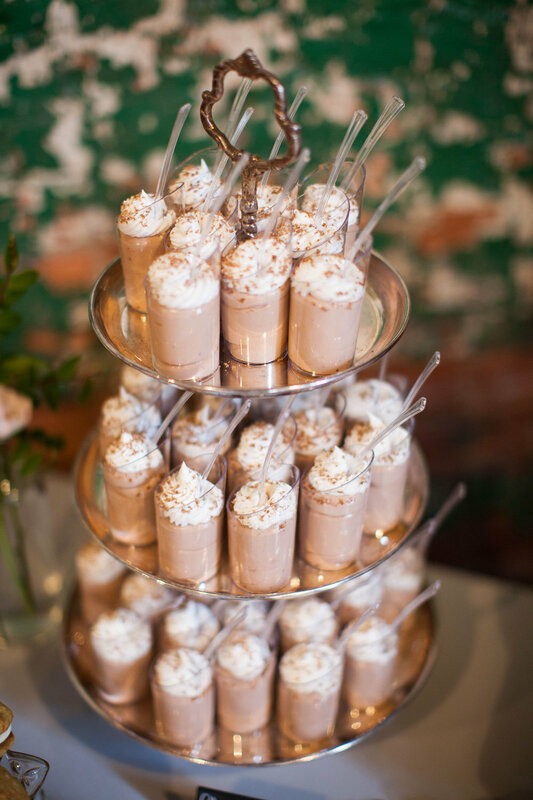 Our brides set pretty tablescapes for sit-down dinners, buffets, food trucks, food stations, and family style dinners. Think outside the box. It's your day, you can do whatever you want! It's YOUR big day. There are no rules. Do what makes YOU happy. 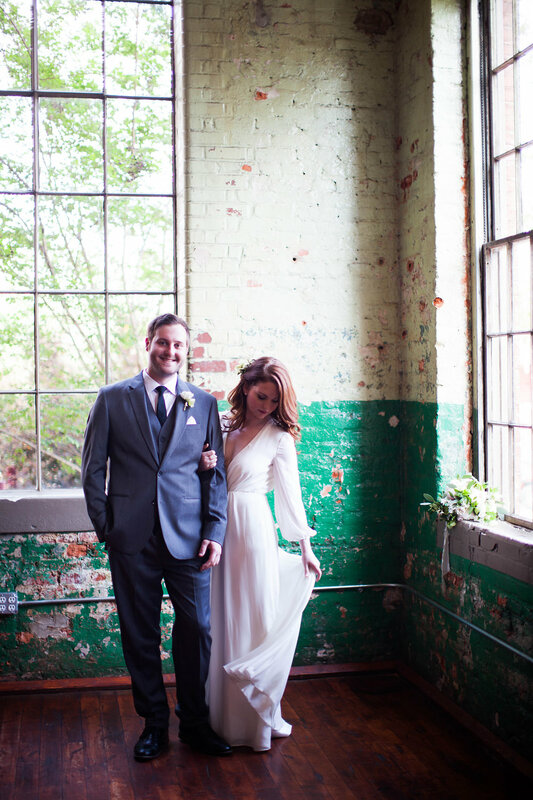 Take a look at how beautifully cohesive their bright, airy, industrial wedding day was. 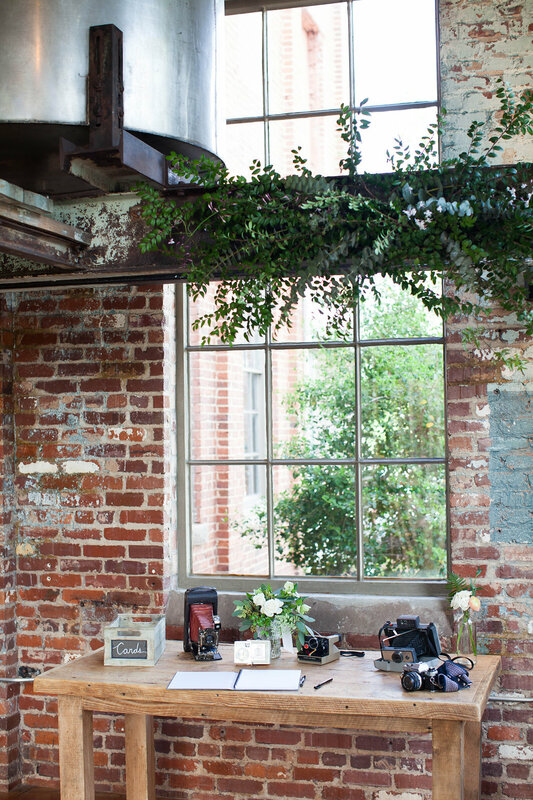 It had a drop dead gorgeous bride, a killer venue, a food truck, and magazine-worthy design. You won't be disappointed! Emily knew exactly what she wanted and her design came together flawlessly. 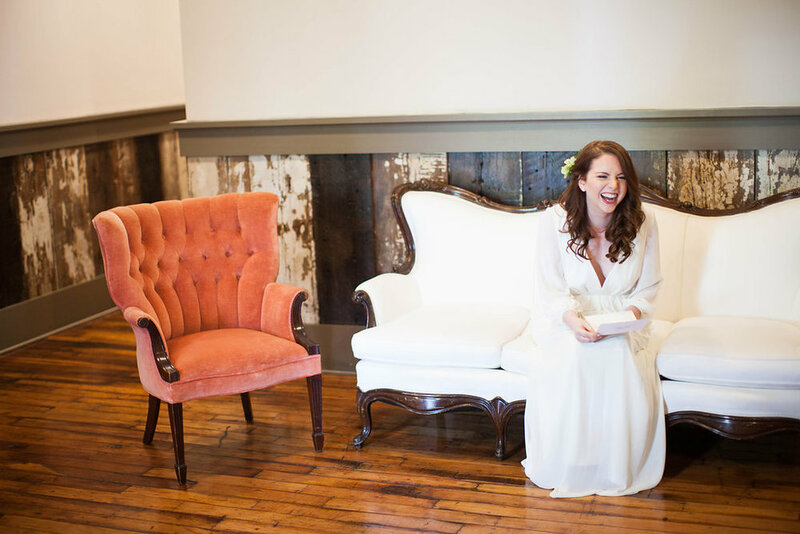 She used a lounge area for her reception and featured it in her photos with her bridal party - so pretty! 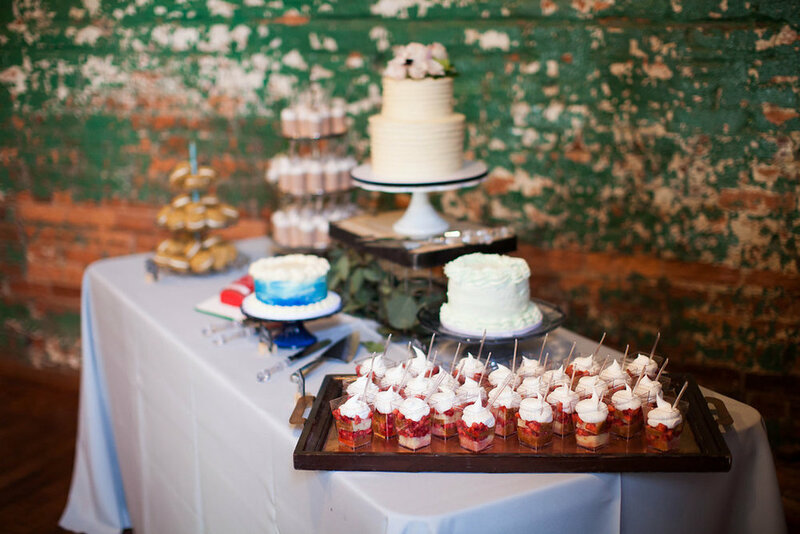 Check out this beautiful dessert table she designed with our trays and cake stands! Small details matter too! Emily and Andrew used our vintage cameras to set up their guest book table display. Congrats to these two goofy lovebirds. 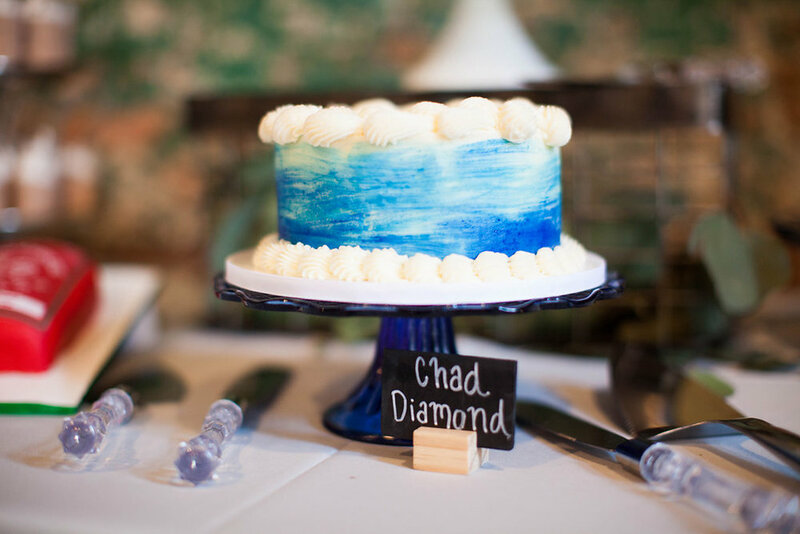 We are still swooning over your big day. We wish you all the best!